IWF is located at the Georgia World Congress Center in Downtown Atlanta. Show dates this year are August 20 – 23. IWF will have exhibits in Buildings A and B. If traveling by car, there are several parking options. The Yellow lot (1284 spaces) is located in the Northwest corner of the WCC and is located near Building C. The Blue lot (722 spaces) is located across Northside Dr. and Building C. The Gold Deck (300 spaces) is located in between Building C and the Georgia Dome. The Red Deck (2000 spaces) is a parking garage located in between the Georgia Dome and the CNN Center and just South of Building B. All of these parking options are $10 per day. The Yellow and Blue lots are very easy to get in and out of but will require a long walk to the entrance. If you plan on staying around the CNN Center, Georgia Dome or Phillips Arena after the show, you will be better off parking in the Red Deck (plus this area is closer to the entrance). This time of year Atlanta is hot and the traffic can be daunting at times, especially if heading downtown. There are multiple travel options to get around the city and to and from the show. There are taxis, shuttle busses, rental cars, personal vehicles and the Marta. The cheapest and fastest method of transportation is the Marta. The Marta has numerous routes that will take you all over and around the city. If you plan on renting a car and staying downtown, remember that you will be paying for a parking fee every night of your stay. IWF is providing complimentary shuttle bus service operating between selected downtown and midtown hotels to and from the IWF show. Walking is another choice if you’re staying downtown. 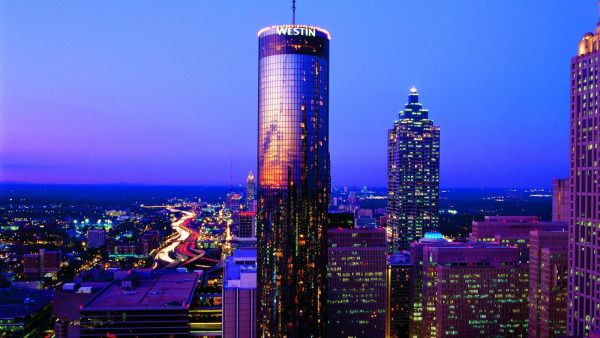 There are plenty of hotel options in downtown Atlanta. This option is great if you don’t want to rent a car and would like to enjoy all the amenities that the city has to offer within walking distance. However, these hotels will be more expensive. If you are traveling by car or Marta, there are many choices outside of the downtown area. You have the Midtown, Buckhead and Marietta areas to look for accommodations as well as other outlying areas. Thermwood stays about 12 miles north of the city and although this sounds like a far drive with traffic, it actually isn’t bad if you can leave before or after the rush hour traffic. 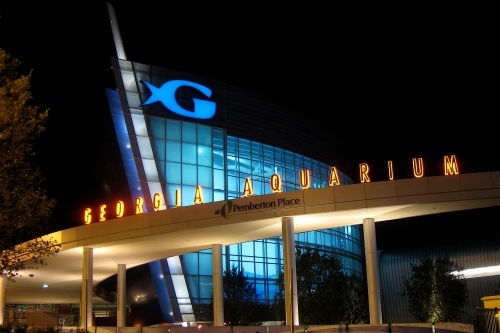 There are numerous activities to do in Atlanta and the surrounding areas like the Georgia Aquarium, World of Coca-Cola, Underground Atlanta, Stone Mountain, Botanical Gardens and much more. If you’re a sports fan, this time of the year is great to catch an Atlanta Braves game at Turner Field and if you’re lucky, maybe a preseason NFL game at the Georgia Dome. There are plenty of places to eat and shop in Atlanta. Now that you have made it to the IWF show, a question will be “Where do I start”? The International Woodworking Fair is located in Buildings A and B of the World Congress Center. - If you are interested in hardware, software tooling and more than building A is where these items would be located. Building A will be what the exhibitors call the “quiet hall”. 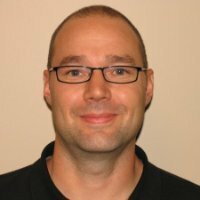 Both buildings will have some of the same products from the same vendor such as software. For example, you can find some of the same software companies in both buildings. This helps if you’re looking for a machine and software package, you would be wise to visit Building B. If a software purchase is your only goal, then visiting Building A will be the easier choice to hold a conversation. Establish a list of priorities and gather as much information as possible by visiting the floor plan and exhibitor list that the IWF show provides online. Wear comfortable shoes for your time walking the show. There are also numerous educational events throughout the entire show. These can be found here. There is a price for attending these educational seminars but from prior experiences, they are well worth the money. There is also a registration fee to attend the show. You’re looking at $30 for pre-registration and $35 on-site. This price is good for all four days. If you’re attending the IWF show please visit the Attendee area of the www.iwfatlanta.com website for some more information. Royce//Ayr manufactures and distributes premium quality cutting tools for wood, composite, plastic, rubber and steel cutting applications for cnc routers and other machinery. 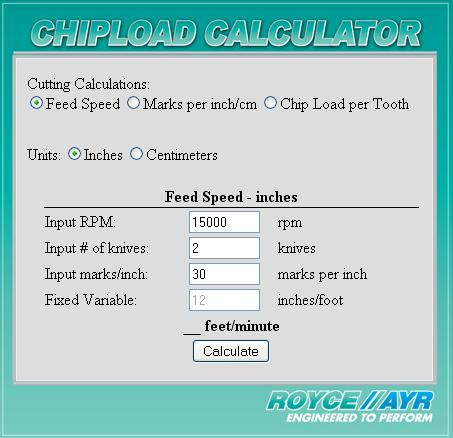 Royce//Ayr makes it easy to determine Feed Rates, Knife marks per inch & Chipload per tooth. View the recommended values in the charts located here and use the calculator to determine approximate settings for your machinery. The calculation results should serve as a starting point to determine optimum feed speeds and RPM for your machinery. Store the sheets flat on a level surface, as the polymer can cold flow. Keep away from teak oil and other products that can stain the finish. Use china markers or water-based markers to draw patterns. Do not use pencil, as it will permanently mark the material. Pen marks can usually be removed with household cleaners. Provide structural support every 16-18 inches (typical spacing for 3/4"). Keep away from heat sources that exceed 180 degrees F.
Test applications for unforeseen complications, such as expansion/contraction issues (note: different colors react differently to heat). King StarBoard® contracts and expands at a rate of 6x10-5 in./degree F, changing approximately 1/32 inch for every foot of length or width over a 40-degree temperature range. Use King StarBoard®XL or King StarLite®XL only in places where a finished edge is not important. Use King StarBoard®AS for walking surfaces (or rout a non-skid pattern into KingStarBoard material). Because there is no grain, parts can be cut from any area of the sheet. Save the scraps for small parts, shims, spacers and plugs. Remnants may be eligible for recycling. Contact your distributor or King Plastic Corporation for details. King StarBoard sheets are made to maintain their color and finish for the lifetime of the boat. Only routine cleaning or pressure washing with common detergents is required. For resistant stains, apply bleach and allow it to soak in. Automotive silicone spray products or household furniture polish can help to hide scratches in the surface. To prevent slipping, do not use these products on walking surfaces. Use standard woodworking tools: table saws, table routers, drills, blades and bits. Carbide router bits with two to four flutes are recommended. With a 1/2" diameter router bit, feed rates of 12-16 feet per minute are normal. Rates must be slower for material that is 1/2" thick or thicker. Larger bits have higher tip speeds and RPM adjustments may be necessary. Cut with a circular saw at 1275 RPM using a 50-70-tooth carbide blade. Expect a feed rate of 12-16 feet per minute. No surface finishing is required. King StarBoard, King StarBoard XL and King StarLite XL come with a textured matte finish on both sides. King StarBoard AS comes with a non-skid dot pattern finish on one side and a matte finish on the reverse. Edges may be finished with a router. Sanding may be used, but a very fine sandpaper is required to avoid creating small, hard-to-clean scratches. Because King StarBoard sheet products are designed to resist water and grime, they cannot be painted and the use of adhesives is not recommended. If gluing is absolutely necessary, products such as 3M's Scotch-Weld DP-8005 and Lord Corporation's 7540-AB have been used with some success. Special welding rods, designed for use with polymer sheets, are also available. Use standard fasteners with oversized holes. Drill pilot holes first, followed by an oversized hole to allow for expansion and contraction. Use press-in threaded inserts for applications where repetitive motion is expected, such as a door hinge. Mild heat applied with a heat gun will help mold the sheets for curved installations. Sharper corners must be notched and then heat-shaped. Hide fasteners with plugs made from King StarBoard using a standard wood-plug cutter. Make the plug slightly larger than the hole for a press fit. King Plastic Corporation Limit of Warranty is your money refunded or defective material replaced. All statements, information and data given herein are believed to be accurate and reliable, but are presented without guarantee, warranty, or responsibility of any kind, expressed or implied. Statements or suggestions concerning possible use of our products are made without representation or warranty that any such use is free of patent infringement and are not recommendations to infringe any patent. The user should not assume that all safety measures are indicated, or that other measures may not be required.